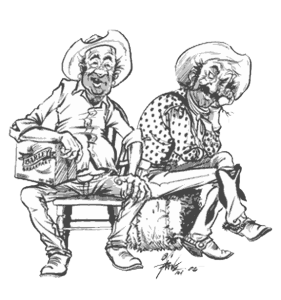 ….is absolutely guaranteed to give you your minimum daily dose of comic relief. Every copy carries a Genuine Montana Cowboy Guarantee. If you’re not completely satisfied with your purchase, you may return the unread portion of your book, and Ken will cheerfully refund the unspent portion of your money. 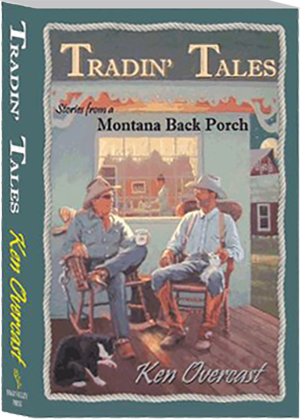 Stories from a Montana Back Porch! 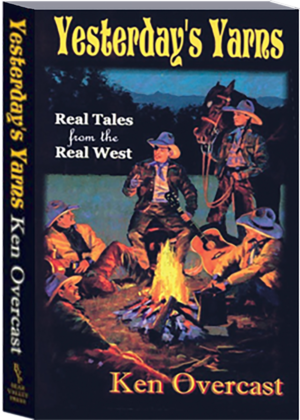 A Fantastic Collection of Ken Overcast's Cowboy Stories! 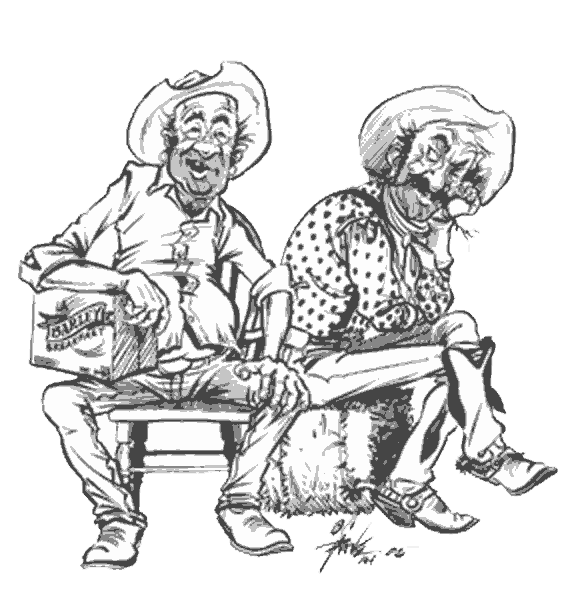 Want to take a Fun Trip into The Real West? you're gonna enjoy them as much as we did." 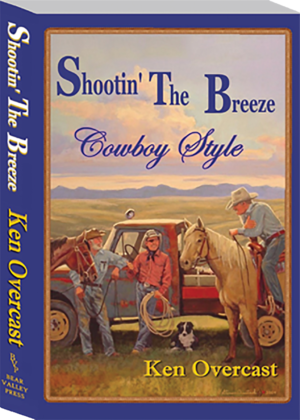 Ken Overcast has done it again! Tradin' Tales, Stories from a Montana Back Porch is a collection of Ken's famous, knee slappin' stories from the Real West. 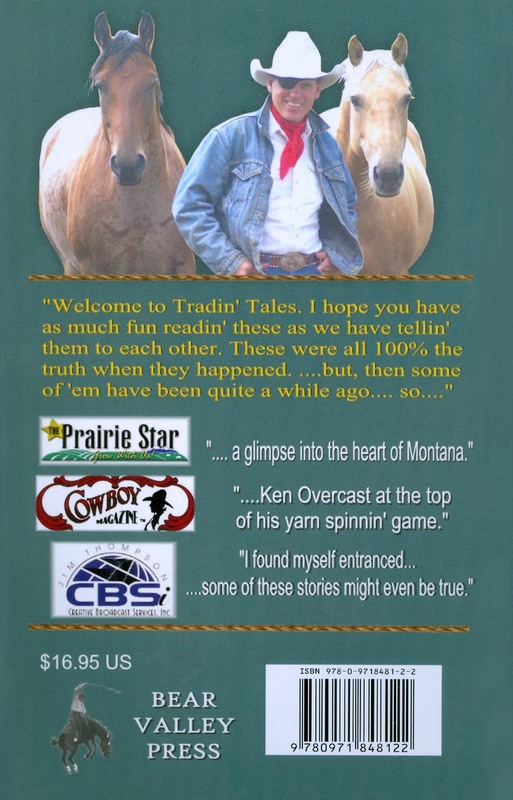 "....Ken Overcast at the top of his yarn spinnin' game." "....a glimpse into the heart of Montana." "....makes you wonder if maybe he hasn't lived all these stories himself." 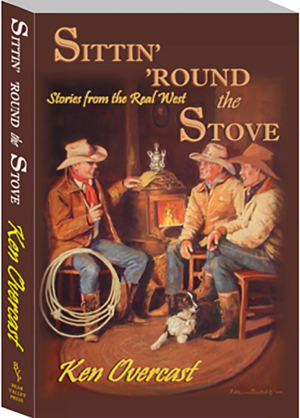 "...I found myself entranced ... some of these stories might even be true!"